have you guys heard of this book? i picked it up this past weekend after i finally decided to give my current book a rest, i was reading it for months and just could not get through it. i was in the lakeview neighborhood of chicago which coincidentally is where my little book heaven is, unabridged bookstore. if it was any bigger than my living room, i’d stay there all day perusing their choice coffee table books like “diana vreeland memos: the vogue years” and their children’s christmas section, cause who can resist that? not me. 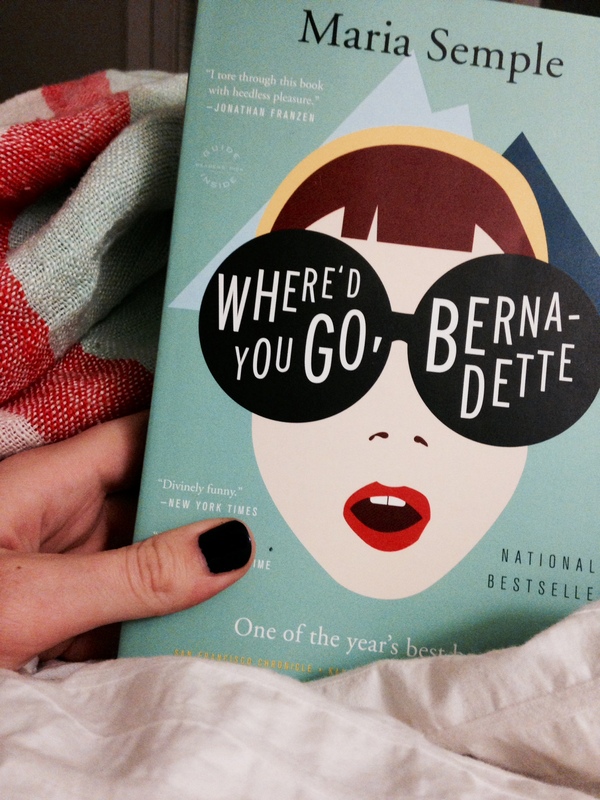 back to bernadette, i’m so glad i settled on this because it is a page turner (unlike my last book) and hilariously funny. i haven’t finished yet, but i’m guessing my upcoming trip to charleston will give me some ample and needed reading time. any book recommendations? please send my way! i read this – i was on the fence with whether i liked it or not! some other suggestions: the goldfinch, the fault in our stars, reconstructing amelia.